Process ERP software manages production, front office, and back office operations for manufacturers that transform raw materials and ingredients into indistinguishable products such as food, drinks, or chemicals. Process ERP systems are used to identify demand, manage raw materials, define formulas and recipes for production, track production cycles, and monitor the quality of the finished products. This type of software is commonly implemented across a company, but is most critical for the production, purchasing, and warehousing departments. Production managers use process ERP solutions to define how ingredients are combined to manufacture finished products and how to allocate equipment and human resources to the shop floor. Process ERP software helps departments such as sales, purchasing, or inventory by managing sales and purchasing orders and the inventory or ingredients and finished goods. Process ERP software usually provides modules for most departments of a manufacturing company, but it can also be built on accounting systems which are not delivered by the vendor. This type of software needs to integrate with other enterprise solutions such as CRM all-in-one software, supply chain suites, PLM software, and HR management suites. Process ERP reviews by real, verified users. Find unbiased ratings on user satisfaction, features, and price based on the most reviews available anywhere. A solution designed for manufacturers in the food and beverage, chemical, and pharmaceutical industries, where bill of material-based software cannot model your operations. ERP Process Business provides the tools to manage variability across your supply chain, improve productivity and service, and protect profit. 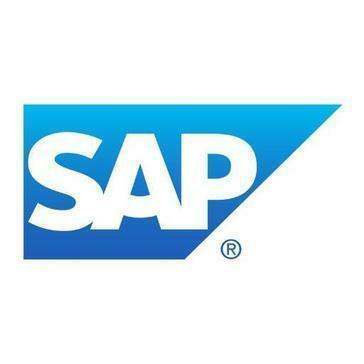 BatchMaster is an innovative solution built upon the SAP Business One platform, designed to meet the needs of emerging and growing formula-based manufacturers and distributors. A document control software system ensures that production processes are all pre-approved, and that changes are restricted to authorized personnel and tracked for future review. Ramco offers post-modern and cognitive ERP software on cloud transforming organizations to digital enterprises. Ramco ERP is a comprehensive cloud ERP solution catering to the needs of fast growing enterprises embarked on digital transformation. Ramco's cognitive and post-modern ERP software help optimize complex business processes and enables organizations to thrive digitally. Ramco ERP offers • Unified solution - Power of One • Flexible workflow based approach • In Memory based real-time optimization engine • Cognitive & self-learning solution • Powerful Analytics Ramco ERP is scalable and can be deployed on cloud or on-premise. It supports integration with most of the existing business applications. Ramco ERP is ideal for any organization who want to optimize their operations, embark on Digital transformation and thrive digitally. Ramco ERP caters to both medium and large scale enterprises. For more details, visit http://bit.ly/2cpg2hg. Ramco is a fast growing cloud enterprise software player across ERP, Logistics, Asset Management, HCM & Global Payroll, Time & Attendance and Aviation MRO. Trusted by 1000+ customers worldwide and 150,000+ end users, Ramco Systems focuses on Innovation and Culture to differentiate itself in the marketplace. abas ERP helps mid-sized business efficiently manage complex products and processes. Our unique technology maximizes flexibility while maintaining a high degree of long-term sustainability. Firms in custom manufacturing, automotive, electronics, metal fabrication, industrial machinery, biomedical, as well as serial production, distribution and process industries use abas ERP to optimize their processes and react quickly to changes in their business environment. Chempax by Datacor is an integrated enterprise resource planning (ERP) and customer relationship management (CRM) application designed specifically for chemical process manufacturers and distributors. The solution can be scaled to meet the needs of companies of any size and offers both on-premise and hosted deployment options. Chempax includes a fully integrated, comprehensive suite of applications that focus on all the unique requirements of chemical manufacturers and distributors. In addition to robust CRM functionality, Chempax also offers ERP features like MRP, MES, product lifecycle management, supplier and supply chain management, business intelligence and more. The solution also offers accounting tools with both multi-language and multi-currency support. Features specific to process manufacturers include cfr21Part 11 compliance and Cradle-to-Grave lot tracking. Distribution-specific features include multi-source purchasing and rebates and price support (CUPS). Users can raise their query and get support through phone and email service or can go through the exhaustive training course available on their website. Erpisto is cloudbased enterprise resource planning (ERP) platform designed for midsize to large enterprises. JustFood ERP delivers software and services for the food industry. Our trusted food experts help your company lower costs, improve food safety and manage compliance to keep customers successful. We do this by matching up the best software technology with the best business processes. Our food industry experts have built a product roadmap that takes you where you want to grow. Our goal is to provide a 90-95% out-of-the-box fit for our food industry customers. We achieve this result by providing a highly tailored and highly configurable Enterprise Resource Planning (ERP) system that meets the needs of our food processors and food distributors. A high degree of business fit means a lower-risk implementation, greater user adoption and lower cost of implementation. JustFood is built on the powerful Microsoft Dynamics platform - the fastest growing ERP is the world - which means much of the user interface is familiar to Microsoft users. On top of this platform, JustFood has built food industry-specific software functionality that is unparalleled in the industry. ProcessPro, a division of Open Systems, Inc., is a leading mid-market ERP software solution for the process manufacturing industry. Designed specifically for manufacturers that combine batches of mixtures in highly regulated environments, ProcessPro seamlessly integrates all aspects of plant operation, from beginning order entry through manufacturing, packaging, shipping, inventory and accounting. ProcessPro has been serving the food, beverage, pharmaceutical, nutraceutical, cosmetic, cannabis and specialty chemical industries for more than 30 years. More information about ProcessPro is available at www.processproerp.com. Axis ERP is a directly-delivered enterprise resource planning (ERP) software, services and support solution for metals, wire and cable manufacturers, processors and service centers, ranging from global corporations to family owned businesses. COSMO CONSULT offers an industry solution for process manufacturing. cc|process manufacturing is fully integrated into the ERP solution Microsoft Dynamics NAV (formerly Navision) and maps all operational processes in production planning and control and project management. Infor CloudSuite Food & Beverage has all the right ingredients to help you overcome business challenges that are unique to your industry, such as managing short lead-times, evolving your channel-to-market strategy, and meeting ever-changing regulatory requirements. This complete, yet flexible solution offers deep, proven end-to-end capabilities for all your critical processes. CSB-System offers a solution tailored to the industry-specific requirements of your company. DTR is a directly-delivered enterprise resource planning (ERP) software, services and support solution for leaders in the plastics industry with a combination of discrete and process manufacturing requirements including injection molders, extruders, film and bag processors, blow molders, thermoformers and compounders. FlexProcess, developed by NEC, is a software package supporting your core business through its seven modules: Production, Inventory, Planning, Purchasing, Costing, Customer Order Management(COM), Financials. FlexProcess is particularly suitable for the process manufacturers, offering unique tools to meet the complex manufacturing requirements to provide data for performance measurement. For installation, NEC offers a variety of support plans that can meet your objectives and schedules. Transform your business and drive growth with a flexible cloud-based ERP solution. Microsoft Dynamics 365 for Finance and Operations helps you focus on new business opportunities while streamlining operations, reducing costs and improving productivity. Now you can meet the changing needs of your customers and that's great for your business and your bottom line. Infor LX, trusted by process manufacturers worldwide is an ERP solution that offers deep industry functionality and flexibility to help you adapt to new manufacturing trends and regulatory changes. Infor LX is extremely scalable and provides the capabilities you need to support your business as it expands around the globe. MasterBOM is a product developed by Lexi that is implemented, deployed and running on our Cloudware platform. It is the main application suite for corporations and companies that need full visibility for their product spend and break down to material, labor and overhead costs. MAXLife is an enterprise ERP offering for Biotech, Medical Device, Pharmaceutical and other Life Sciences companies that extends the core functionality of the Microsoft Dynamics AX platform and makes it a more robust and complete solution for FDA regulated companies. Life Sciences organizations wanting to implement industry-specific enterprise ERP systems and processes at a fraction of the cost, with fewer internal resources, and a faster timeline should consider MAXLife from Merit Solutions because we provide: - A pre-configured system and best practice templates – dramatically speeding deployment and reducing the cost to implement. - Robust and complete industry-specific documentation – making compliance and validation simpler, cheaper, and quicker. - Integration with third party elements of your supply chain – extending data visibility and improving decision making. - Extended functionality for Life Sciences organizations – improving quality and reducing compliance costs. Extended functionality includes: - Contract Manufacturing Orders - 21 CFR Part 11 Electronic Document Management - Electronic Batch Records - Training and Certification Tracking - Audit Trails and Electronic Signatures - Approved Vendor Management - Shelf-Life and Re-Test Date Management - Change Controls for Product Master Data - CAPA Reporting - Life Sciences Mobile Solution Development Platform Merit Solutions has been working with Life Sciences companies for more than a decade, helping them manage risk, ensure operating performance, maintain compliance, and pursue global growth opportunities. Through our industry-tested combination of front end process consultants, back end technology practitioners, and industry Subject Matter Experts, we have the expertise to enable your successful Life Sciences business transformation. Our broad range of Life Sciences consulting services and IT solutions help address the challenges related to traditional processes, cultural resistance to change, and less scalable technologies – enabling successful improvement projects while operating in a globally regulated environment. nMetric scheduling software gives you the tools you need to dynamically and proactively manage change. It was created by manufacturers for manufacturers. QAD is a leading provider of flexible, cloud-based enterprise software and services for global manufacturing companies. Built on over 30 years of seafood industry experience, Seasoft is an end-to-end, turnkey Enterprise Resource Planning (ERP) solution thats feature rich in the functionality you need to maximize margins, lower operating costs and work smarter and more profitably. SI Foodware NAV is a food service management solution with ERP features for admin, production, logistics, business intelligence, and more. SIMPLE is the only complete, integrated, cross-functional and scalable solution for all your requirements if you are a process manufacturer. Stop using ERP, you should switch to SIMPLE today! SYNCHRO ERP is a A fully integrated, flexible and robust software suite. With Infor System21 and the IBM System i platform, you can optimize every aspect of your complex, global mixed-mode or distribution business, whether it's in apparel, food and beverage, automotive, electronics, industrial equipment, general manufacturing, or distribution. Valdata CMS is a Chemical Management System with products designed to control inventory, manufacturing, formulation and quality. Vicinity offers formula-based manufacturing companies software solutions that streamline, simplify, and expedite processes within their operations and facilities. Hi there! Can I help you find the best Process ERP solutions?